Life changed for Deanna Brooks the night she attended a book signing for her aunt's best-selling paranormal romance series. There she met Burney "Burn the Cover God" Sheridan. The model for the fictional vampire hero, Burn is beyond handsome with an over-abundance of Irish charm. This was my first book with Decadent Publishing in the summer of 2012. The three year contract is up next month and I requested the rights back. I see its been taken down already at most if not all vendors. I do intend to ask for all my rights back on my Decadent releases as the 3 year dates draw close, except for Wild Pitch which I wrote with Gayl Taylor and has a five year contract. I no longer submit to Decadent Publishing. 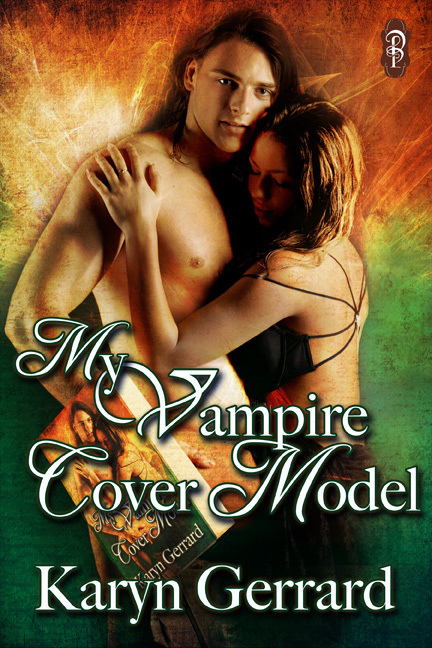 My Vampire Cover Model will be receiving a complete rewrite, revision and re-edit. I have too much on my plate right now, so look for it sometime next year. I will be self-pubbing through my KG Publishing banner and will no doubt keep the same title. Next up? Requesting the rights back to The Blind Cupid. Cheers!